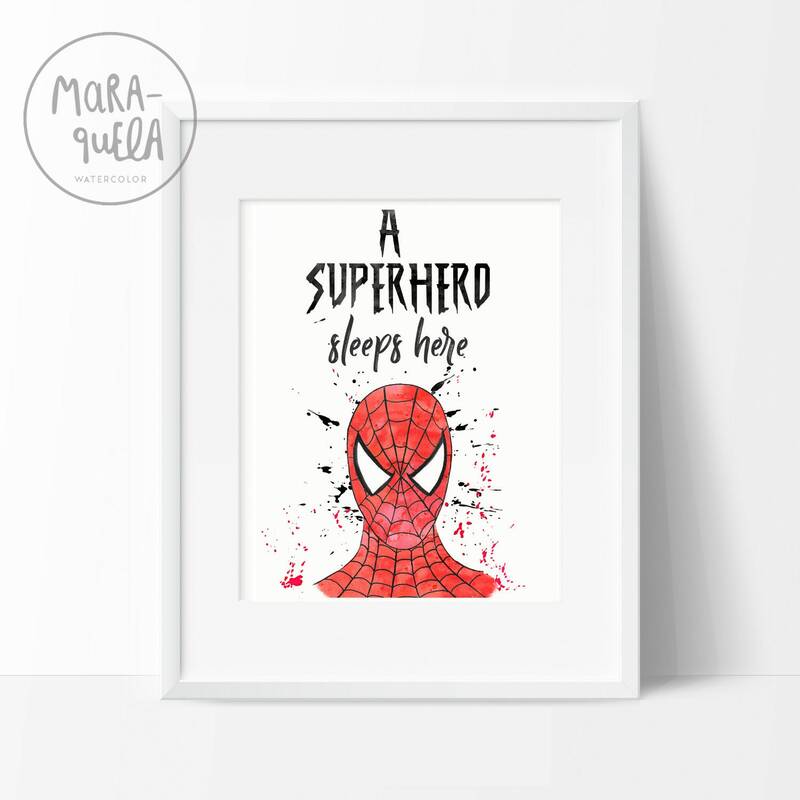 - Lámina con frase "A superhero sleeps here" o nombre del bebé/ niño. 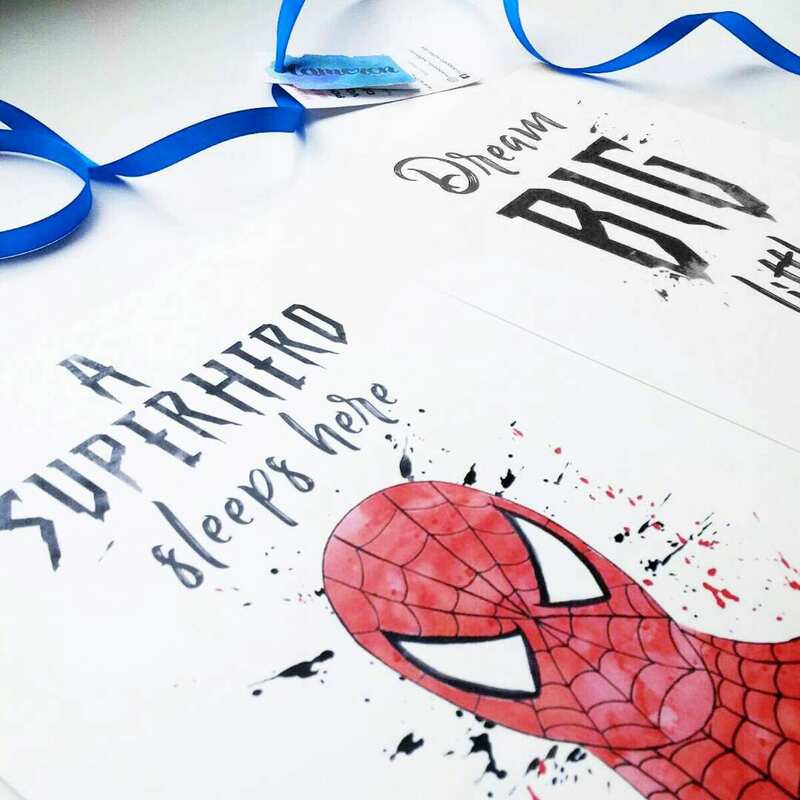 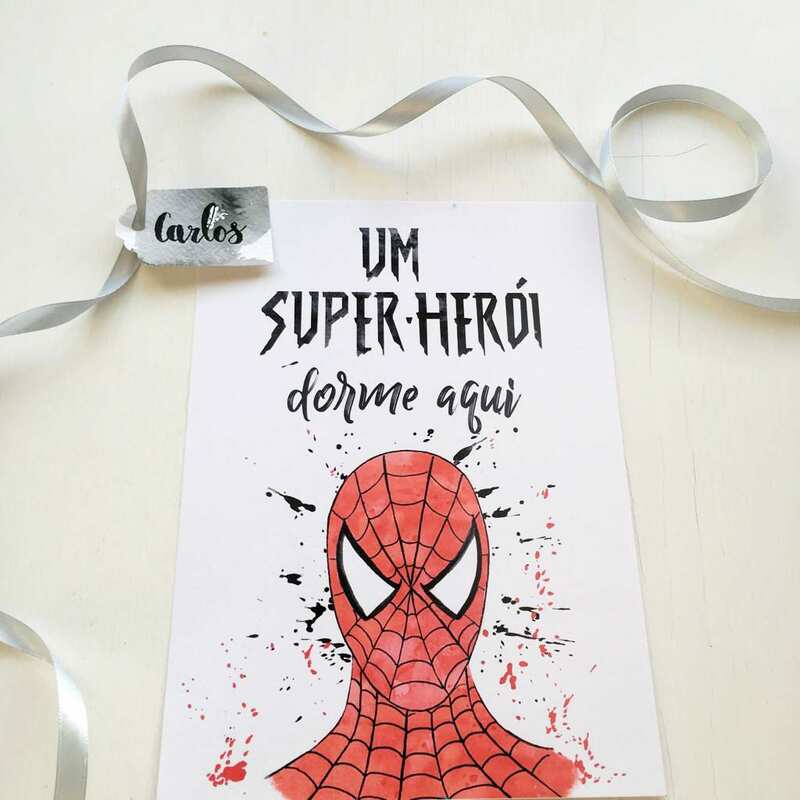 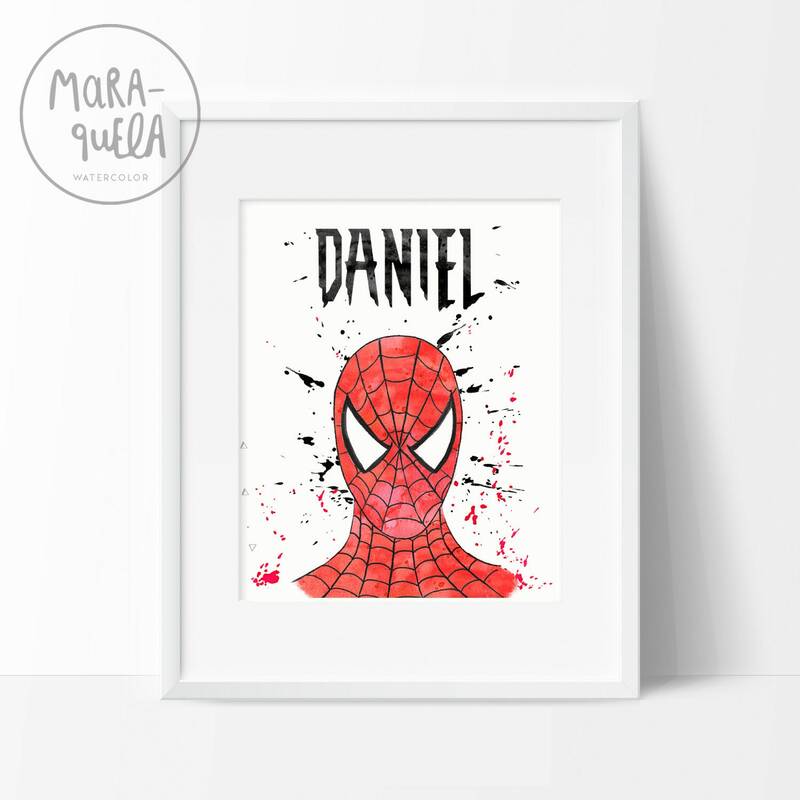 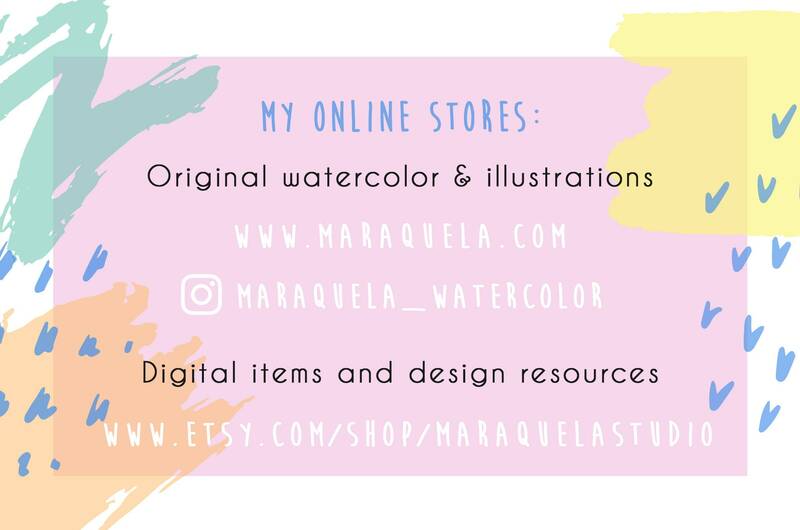 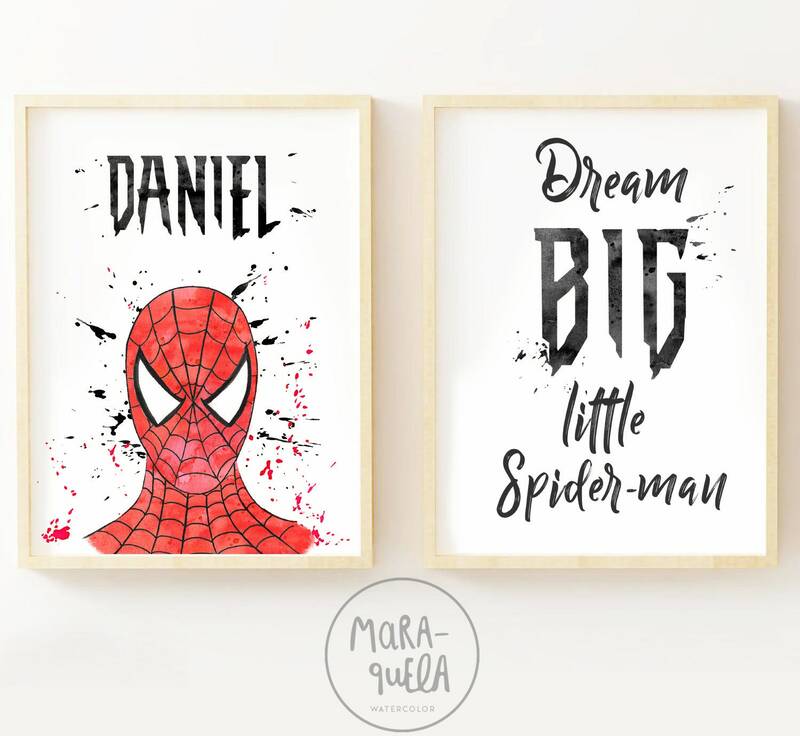 - Lámina "Dream Big little Spiderman"
• SET of 3 illustrations in watercolor inspired by Spiderman Comics. 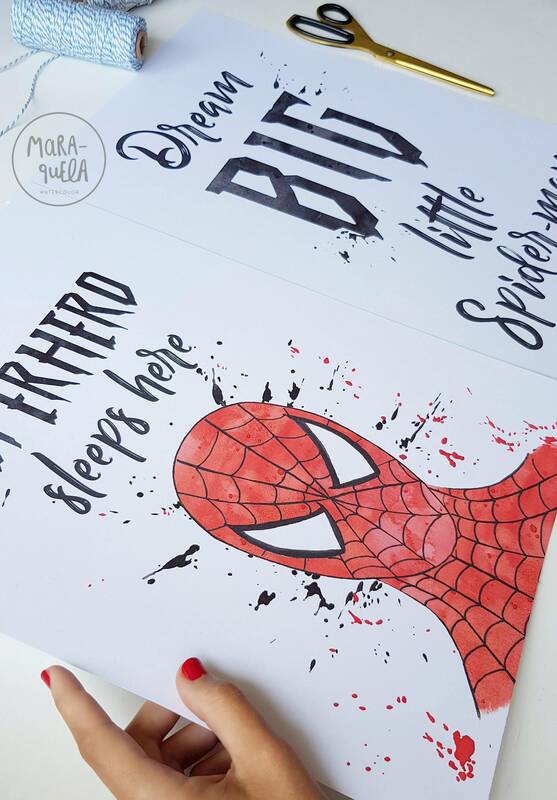 - "A superhero sleeps here" name fo the superhero (boy). 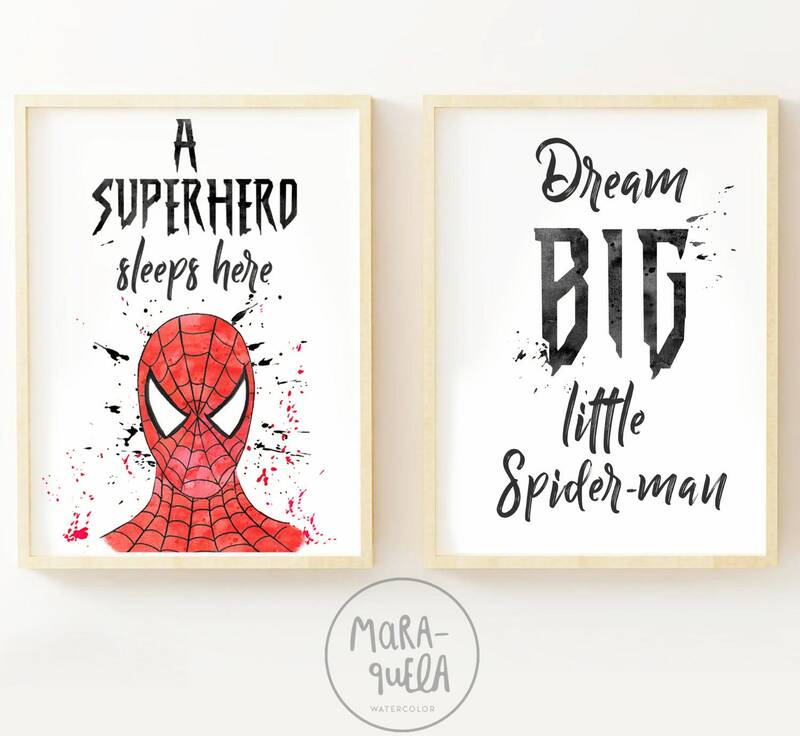 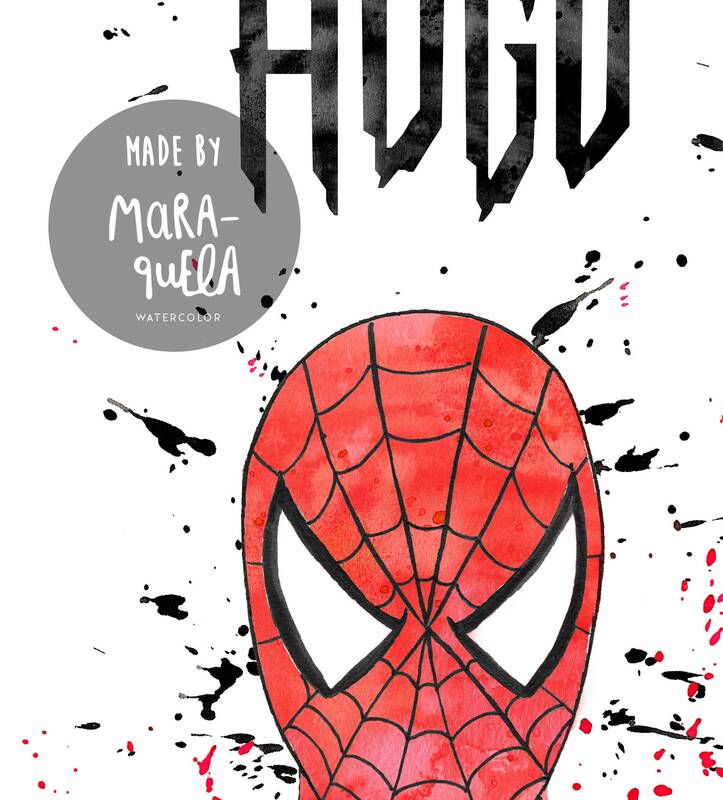 - "Dream big little Spiderman"